Simon Russell – Jan-Pro Vancouver. Master Owner since 2005. Previously a consulting engineer who was discouraged with the constantly fluctuating workload. “I love the independence of running my own business but with the support of a major corporation behind me. 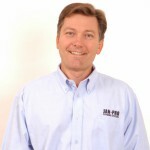 When I signed on with Jan-Pro, I knew I was buying a proven business plan and delivering a service that everyone needs all the time (office cleaning). Marc Simard – Jan-Pro Ottawa. Master Owner since 2007. Previously a plant manager in the textile industry for 20 years, watching the industry decline in Canada. 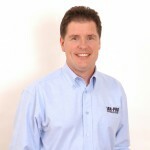 Click here to view Marc Simard – Jan-Pro Master Owner Ottawa’s LinkedIn Profile. I wanted something stable and recession-proof. The commercial cleaning business really appealed to me. Colin Bates – Jan-Pro Toronto East. Master Owner since 2006. Previously a vice president at a major Canadian telco which after 28 years of employment had become a grind. Click here to view Colin Bates – Jan-Pro Master Owner Toronto East’s LinkedIn Profile. “I wanted to build something for myself and my family, not some shareholder. I love the responsibility and accountability of running a business. 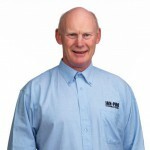 But I chose a commercial cleaning franchise because success rates are very high and if you choose a good model, like Jan-Pro, you should do very well.